Initiatives to build and support a culture for diversity and inclusion begin on day one and continue throughout the program. MBA Orientation sets the tone, immerses you in your new community, and begins the conversation. We have a variety of MBA student organizations to support, organize, and build community within the program. Our students, and the organizations they are a part of, contribute to the strength of our Texas McCombs community, conversations, and perspectives. From on-campus events to experiential global opportunities, we encourage students to get involved, celebrate differences, and share their stories. There are a variety of initiatives embedded into the fabric of the MBA experience that foster continued learning and growth, including workshops, ally training, lunch and learn events, speaker series, and courses. Our global study tours allow students to learn many aspects of conducting business outside the United States. These trips also immerse students in different cultures and new perspectives, which helps to develop a more a comprehensive, empathetic approach to problem-solving. One of the ways we actively work toward diversity, is by partnering with organizations that connect top business schools with MBA candidates, companies, and community leaders that share our commitment to providing access to education and a welcoming, supportive business environment. Cultivating strong relationships over the years with our partners is a key component of our recruitment process and an opportunity to be directly involved in positively shaping the future of business. 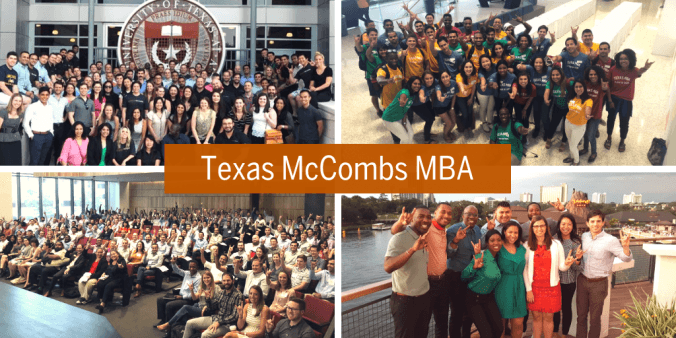 We invite you to join the conversation and get to know the students, staff, and alumni that make up Texas McCombs. You’ll be able to meet many members of our community during on-campus Discover McCombs events, as well as at other national events that emphasize diversity and inclusion during the fall. Our goal is to prepare our students to navigate a complex and changing world by developing the skills to effectively manage and collaborate in a way that transcends cultural boundaries. The success of business and society requires it. Your future success depends on it. If you have any questions about how to engage with the Texas McCombs MBA community or any of the program initiatives or events above, please reach out to us. Hook ’em!